﻿ Jujubee S.A. - Games Developer and Publisher. iOS | Android | WP | PC | Mac | Linux | PS4 | Xbox One - Jujubee S.A. celebrates its 5th anniversary! February 2017 marked the 5th anniversary of when our studio was established by a couple of gaming enthusiasts. That’s a long time. Looking back now, it’s hard to believe that in the beginning we were just a small team made up of no more than a few people bursting with ideas and aspirations of conquering the world with their games. 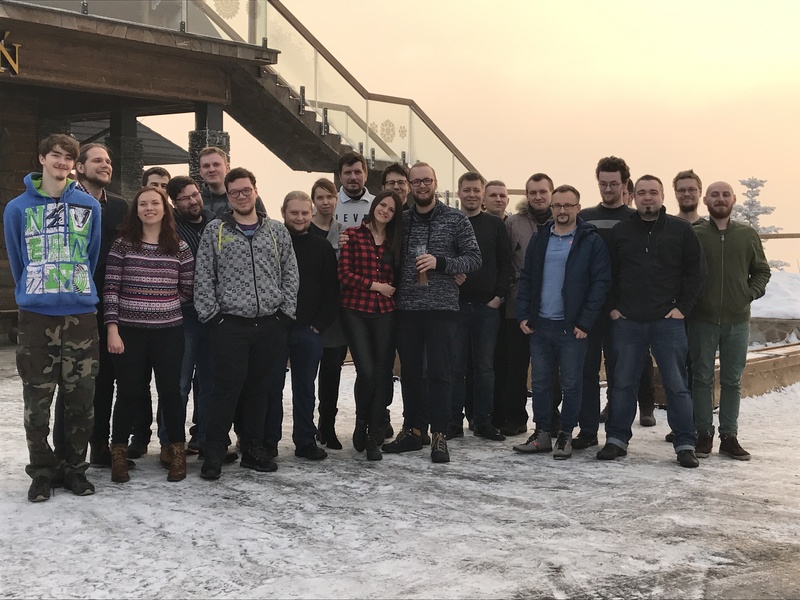 These several years sure have gone by fast, and now there’s almost 30 people in our team, all working on much bigger and much more ambitious projects that are attracting praise and appreciation from players. The company itself has been listed, and is now one of the most popular companies on the NewConnect stock exchange. This progress would never have been possible without our combined efforts and powerful drive to achieve our goals. Because such important anniversaries deserve to be noted and because this occasion just so happened to coincide with the release of our first strategy game, Realpolitiks, we decided to celebrate. An outing to a club, a party in the company headquarters, or any similar event just wouldn’t cut it for such an important occasion. That’s why we decided on a trip to the beautiful Polish mountains. In wintertime you can’t spend too much time having fun outside, but that’s all right – there are other things to do. After a long search for a suitable venue, we managed to find the ideal place. 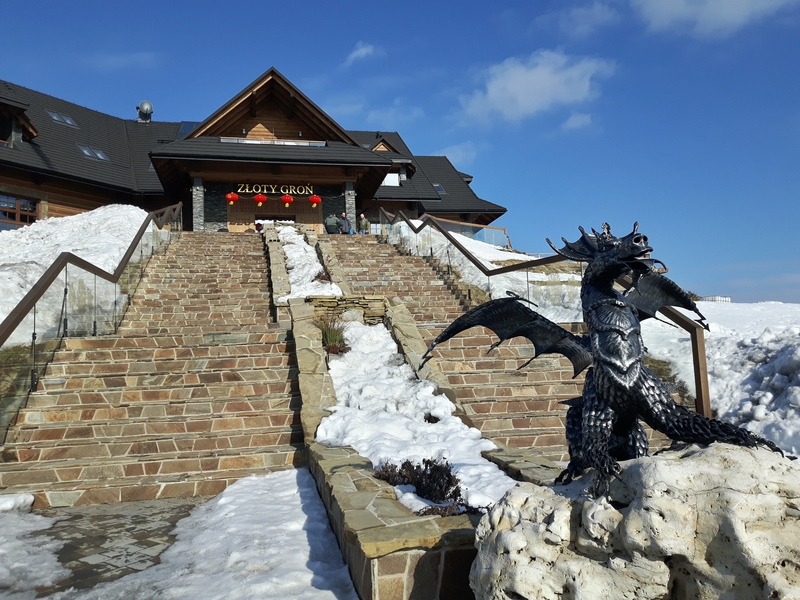 Hotel Złoty Gron, located on a mountain peak 710 meters above sea level (about 2,330 feet), is perfect for people looking for a quiet place among captivating surroundings where they can relax, admire the beautiful mountain vistas, and also get some exercise on a snowboard or skis thanks to the ski lift located nearby. The most important things for us were the mountain views, the atmosphere, and all the activities waiting there for us. The check-in process took a while, which allowed us to take a tour of the hotel, its surroundings, and all the amenities. We saw the beautiful view from Złoty Gron and tons of snow. Everything was perfect. We all knew this would be an amazing party and a night to remember! We started celebrating with a festive dinner of traditional Polish dishes. 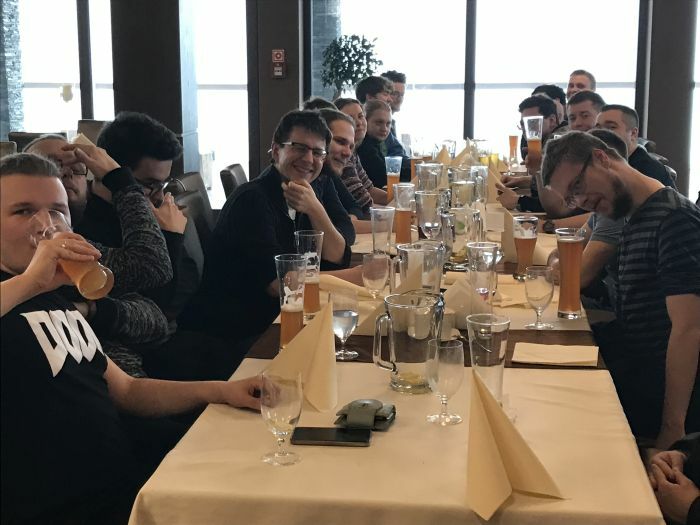 We polished everything off and washed it down with some chilled beer – this helped us to maintain the atmosphere and keep up the conversation, which was becoming livelier and livelier by the minute. The feast lasted for a while, which meant everyone relaxed and forgot about their everyday problems. In a cheerful mood, we all awaited the main attraction of the evening. 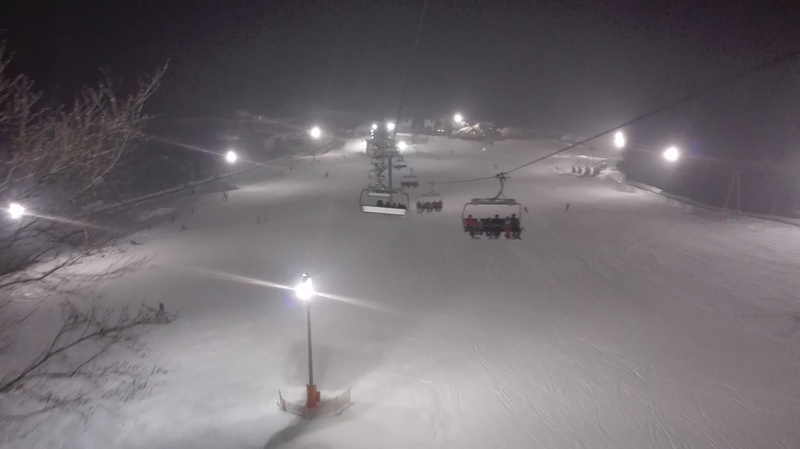 At 6:00 PM sharp, after it had already gotten dark and much colder, we all put on our warmest clothes and took the ski lift all the way down to the base of the mountain. 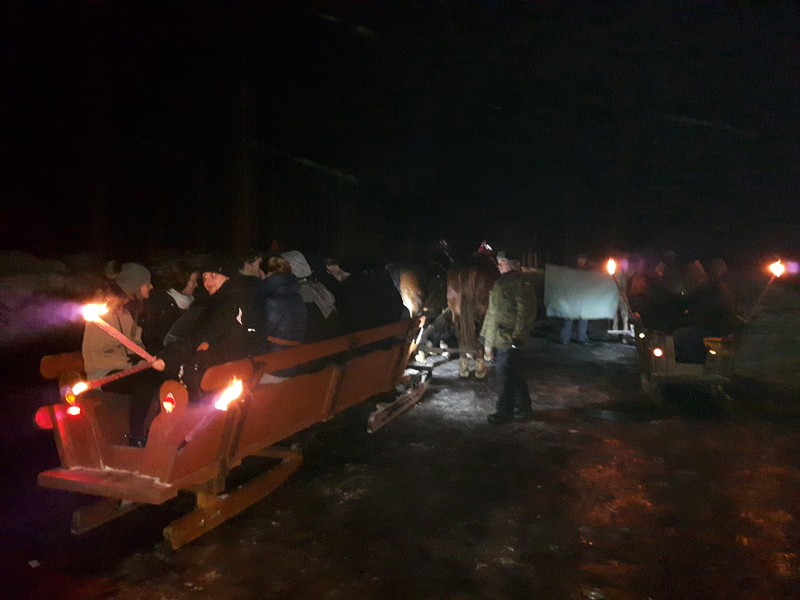 There, we took a guided tour to the valley of the River Olza and took a horse-drawn sleigh ride to a bonfire with a folk band. It had us very excited, as most of us had never experienced anything like that. The sleigh ride took a full 20 minutes. We rode through a dark forest holding torches. Combined with the sounds of the sleigh bells and our merry voices, it created an unforgettable atmosphere. When we arrived at our destination in a glade, the bonfire was already crackling. 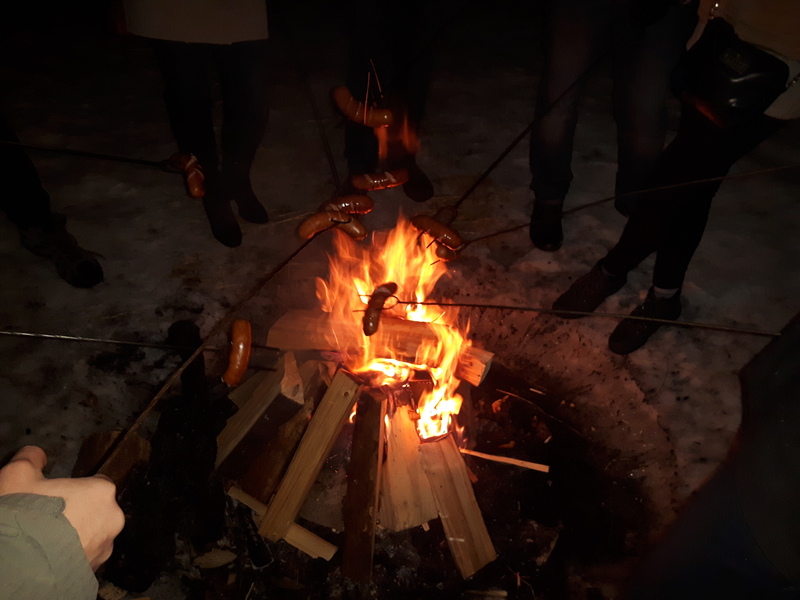 The trip organizers had prepared some grilled sausages and other snacks, as well as some mulled wine. The food and drink helped us fend off the cold, and, combined with the music from the folk band, lifted our spirits even higher, as well as giving us a ton of energy! After this wonderful, atmospheric event in the depths of the forest, we had to return to the hotel. The cold and the limited amount of heat given off by the bonfire wouldn't let us stay any longer. Fortunately for most of us, the party was just getting started. As soon as we got back to the hotel, we continued the fun in the warm bar, surrounded by the view of the cold mountains outside. The party finally ended late at night, or, rather, early the next morning ;) Visiting the village of Istebna and celebrating in Złoty Gron was definitely the way to go. It gave us some unforgettable memories and let us bond more closely. We decided to return and have tons of fun the next time such an occasion came around. Unfortunately, it was time to pack and come home. We just hope this journey will kick off of a beautiful new tradition in our company.